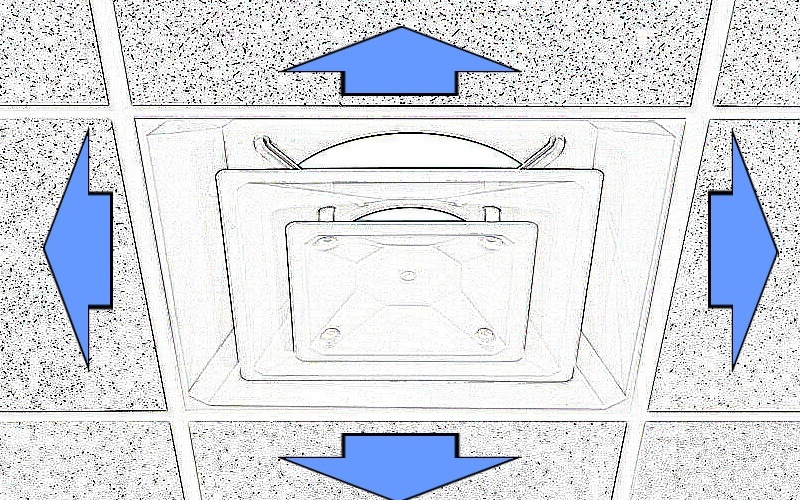 ABS plastic ceiling diffuser suitable for all HVAC air distribution. 4 way air flow default; 3 way and 2 way available. 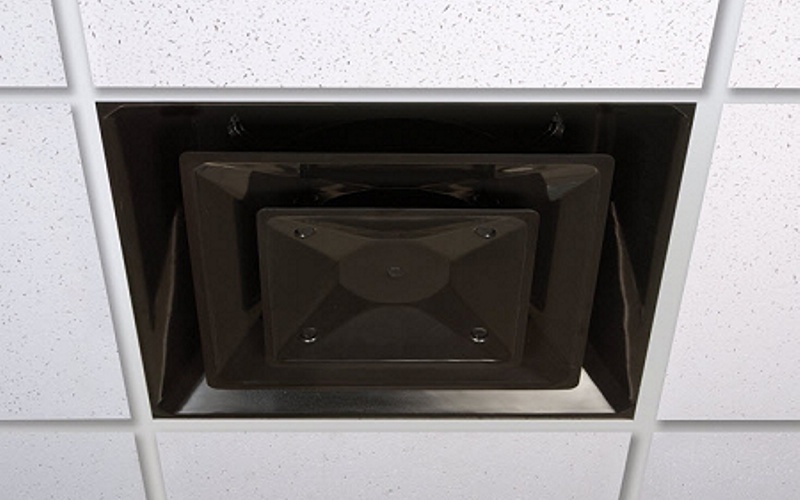 These 2' x 2' Ceiling AC Vents are available in white, black and beige. Neck sizes available in 6", 8", 10", 12", 14", and 16". The universal collar allows you to trim to fit the neck size. This product has no metal fittings inside; it can be used in MRI settings. 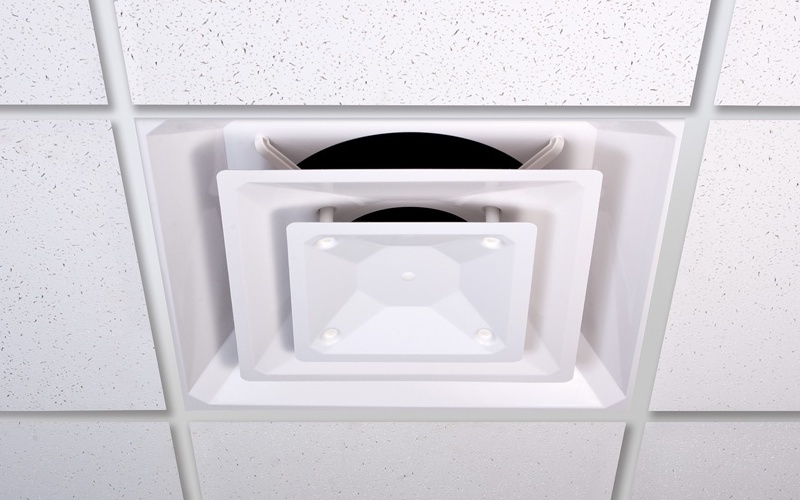 You can choose from the normal 4 way airflow (no obstructed vents), 3 way air flow, and 2 way air flow (either on the corner or across the unit).